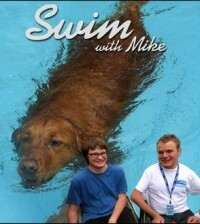 Home > Podcast Courtesy of Pet Life Radio > Come On Down! – The Price Is Right’s Bob Barker Visits Pets In the City! 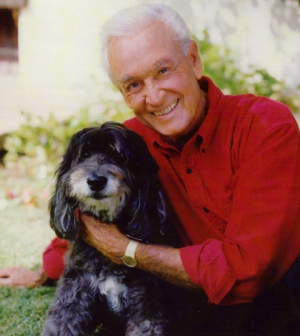 Bob Barker has been a guest in almost every home in the United States and, later, the world. And while this perennial, ever-friendly game show host always brought a sense of fun to every project he’s worked on, he couldn’t be more serious about animal rights. From throwing down the gauntlet 20 years ago at the Miss USA pageant with his very public anti-fur stance, to sending Price is Right viewers off with a friendly reminder to spay and neuter their pets at the end of every show, Mr. Barker has become an enduring part of American culture. Bob’s retirement from The Price is Right in 2007 has not slowed down his work on behalf of animal welfare, including continued work with the DJ&T Foundation (http://www.djtfoundation.org), a non-profit foundation he established in 1994 that subsidizes low-cost spay and neuter clinics and voucher programs for dogs throughout the country. Priceless Memories, a book recounting his favorite moments of his career in television, his life-long love affair with late wife Dorothy Jo, and their shared love of animals, comes out in April 2009. Diane West: Hello all you cyber cats, kittens canines and critters under all creations. This is Diane West, your host. Pets In The City, coming at you from the greatest city in the world, New York City of course. With another episode of Pets In The City on Pet Life Radio. How are you? I hope, if you’re tuning in today, that you are ready to come on down! We’ll be right back. [commercial break] Diane West: Now unless you have been living under a rock for the past, oh, 35 years. Or for our listeners of a certain age let’s make that 50 years. You know exactly who I’m talking about. Our guest today is Bob Barker. The one, the only Bob Barker from The Price Is Right and Truth or Consequences and any number of famous shows that you can think of. Bob and I sat down to my absolute thrill and had an exclusive interview. Mostly talking about his retirement, if you can call it that. I think he’s busier now than he was before. Writing books, traveling the country and talking to people about one of the subjects that’s very dear to his heart: spaying and neutering our pets to cut down on the pet population, and really in essence save lives before they’re even created. His book is called Priceless Memories, it’s coming out in April. He wrote it with help from Digby Deal [sp] and it’s coming from Center Street Press. Again, that’s coming out in April. I spoke to Bob, he talked about his book, he talked about his life and we had a great conversation. Sit down and come listen with us. [start of interview] Diane West: Bob, it’s hard to call you Bob. I feel I want to call you Mr. Barker because I grew up with you. Bob Barker: You can call me Bob. Diane West: Okay. Bob, I grew up with you. Bob Barker: For you, if you’ve been watching my television shows, you’re a lady of good taste. [laughter] Diane West: Well, either that or I’m attracted to your voice. And speaking of your voice, you actually, as per your book, you actually got your start in radio also. Right? Bob Barker: That’s right. When I started there was no television. I got my first job at a radio station in April of 1946. Diane West: Wow. And now from there, I mean one of the things that really struck me about your book is that the way you have it written is fascinating. It almost seems like one puzzle piece fit into the other. So from the radio station that you were doing, the legendary Ralph Edwards had heard you correct? So tell us a little about that. Bob Barker: When I started though, I was still in college. I started at a station in Springfield, Missouri. Eventually I ended up in Hollywood. I was doing some radio shows, my wife was producing them and I was hosting them, for the Southern California Edison Company. The Southern California Edison Company provides electricity for everything for all the communities outside of, and surrounding Los Angeles. They have auditoriums in their offices all over Southern California. We did radio shows from these auditoriums in their offices. Ralph Edwards had sold “Truth or Consequences” to NBC as a daytime show. He was auditioning hosts in New York, and he was auditioning hosts in Hollywood, but he hadn’t found just the one he wanted. He turned on my radio show, quite by chance, and he like the way I worked. He called me and after a series of auditions, on December 21st 1956 at five minutes past 12 noon, he called me and told me that I was to be the host of “Truth or Consequences”. Diane West: Bob, do you know these dates and times off the top of your head? or do you have notes in front of you? I have to ask you that. Bob Barker: Well that particular date I will never forget. That was, that is, and that always shall be the most important call of my professional life. It changed everything for me. It was my first national show, it was television instead of radio, it was all of the things Dorothy Jo, my wife, and I had worked for. Diane West: It really is a great story. Another thing about your book I wanted to let people know about is it’s very much a love story. The passages you write about your life with Dorothy Jo are just breathtaking. It’s a love story between you and Dorothy Jo, your love for your mom, your love for the towns you grew up in. Would you say that’s a fair thing to say? Bob Barker: I think it’s not only a fair thing to say, Diane, I think you’re absolutely accurate. Members of my family have said it’s a love story, but to have you say so, I’m very pleased. I certainly did love Dorothy Jo, and I’m glad it comes out in the book. Diane West: It really does, and I take that as a compliment of the highest praise. That was the first thing that struck me. I said “this is a love story”. This is Bob’s love for Dorothy Jo and his towns he’s grown up in. From Springfield, Missouri, to South Dakota, and obviously your love of animals. Which we’ll get to in a second. I’m not going to give it away, but one of my favorite parts of the book was how you and your wife, may she rest in peace, had candlelight dinners for 37 years of your marriage! You’re pulling my leg! Bob Barker: No I’m not! If we just had a sandwich in the evening we had it by candlelight after our first candlelight dinner. That’s right. Diane West: I think your next book should be on marriage advice and stuff! Bob Barker: Well, my advice on marriage could be summed up in very few words, and that is “to always have respect for each other.” Dorothy Jo and I did. I think that’s the basis of everything in marriage. You can overcome all of the obstacles, so long as you maintain respect for each other. Bob Barker: Well, good. I’m glad you enjoyed that. I’ve said it’s a “happy” book. When people ask, I tell them it’s a “happy book” and it had to be because I did happy-type shows. I’m basically a happy guy, so I’ve written a happy book. I hope it makes people smile, and on occasion, laugh out loud. Diane West: Now you are a happy guy as you say, and I know all of us who have watched you throughout your prestigious and enduring career would say that. But I have to ask you something, I was reading between the lines, was Dorothy Jo trying to tell us a little bit about another side of Bob Barker that we don’t know? She said the reason you guys have been married so long is because she loved you and you loved you?! Or, something? Bob Barker: She told the writer in the interview, when asked how we stayed married so long in a place like Hollywood where people have two, three, four marriages. She said our marriage is based on love, I love Barker and Barker loves Barker! [laughter] Diane West: Was she trying to tell us something about you there? Bob Barker: Well, I don’t know that I love myself, but I’ve always enjoyed talking about myself! I enjoyed writing this book because I was writing about myself. Diane West: In your line of work, someone who can remain excited about an auditorium full of people screaming “No! That’s $1.39!” You have to have some kind of sense of humor about that. I would imagine. Bob Barker: Well, listen, not only do you have to have a sense of humor to get through “The Price Is Right”, you have to have a sense of humor to get through life. Bob Barker: Particularly when you reach your Golden Years, which I have! Diane West: And most people who I talk to, who enjoy their life, say that they look at their life as if they enjoy it. I think you have a lot of wisdom there. Okay, so now we’re going to take some of that tenacity that Dorothy Jo spoke about, and you spoke very fondly about your mother Tildy [sp.] and her love for animals. So talk about some of the things that punctuated your work with animals. Of course we all know about the big boycott you made, for lack of a better term, with furs and Miss America. If you had to do that again, would you do it differently? Or are you satisfied with the outcome? Bob Barker: No. I did exactly the right thing. It wasn’t Miss America, it was Miss Universe and Miss USA. I did exactly the right thing. And I might add, the “fur flap” that was what the press and media called it, that “fur flap” episode was the best thing that happened to the anti-fur campaign. It was on the front page of newspapers across the country, it was on national television, and on radio. Many, many people who had never stopped to think about the cruelty of animals with the production of fur became aware and started thinking about it. I might add, after that “fur flap” sales went down, down, down and they’ve never recovered. It’s no longer sheik to wear fur. Diane West: Wow. I know they had a lot of that here at Fashion Week in New York. They had people boycott shows because they use fur. You said a number of things interesting in your book, but there was one thing that struck me and it said “most people love their cats and dogs, but when it comes to awareness most people just have no conception of the animal cruelty problems that exist in this country”. That sounds like what you were raising awareness with the fur. Bob Barker: That’s right. Americans love their animals, I’ve read that 70% of the homes have at least one pet. They love their animals, but they only love THEIR animals. They aren’t necessarily concerned about other animals. That’s why it’s so important to make people who love animals aware that there are so many animals exploited and mistreated, not only in our country but all over the world. Diane West: You’ve had some strong words to say about vivisection as well. I know that’s a really controversial subject. I know some people who really love animals but will concede that “I know it’s a necessary evil that we experiment on them”, but you’re not having any of that! Bob Barker: No I’m not! And there are doctors who are not. There are more and more medical doctors who are coming out of the closet and criticizing vivisection. I read one doctor who said, “the cure for cancer could very well be hidden under the dead bodies of animals.” What he’s saying is that they’ve spent millions of dollars butchering animals trying to find a cure for cancer and we still have cancer. That’s true of many things. Animal experiments have actually impeded some experiments. There are fewer and fewer animals being used in vivisection because of technical advances that they’re not needed. I think the animal rights movement has had an effect. We have “cut into it” quite a bit. Diane West: No pun intended! Bob Barker: We have cut into the cutting! Diane West: Now also along the lines of cruelty. Do you think justice was served in the infamous Michael Vick case? Bob Barker: Oh that was horrific. There is so much dog fighting going on in every place, and people don’t know about it. It’s completely undercover. That situation with Vick, many of those poor animals suffered terribly, but it was very valuable because I understand that more and more dog fighting groups are being investigated now. Law enforcement is getting into it more deeply now than ever before. The Vick thing was much like my “fur flap” for the fur industry, it was much the same for dog fighting. It put dog fighting on the front page of newspapers and in front of people who didn’t realize how much dog fighting there was. For how terrible it is, have come to terms with it now. Diane West: Your point is well taken. It sounds so barbaric, like cockfighting. Actually, some of the activists that I speak to here in New York, because sadly enough we do have a some strongholds and pockets of dog fighting. Bob Barker: There’s a lot of dog fighting in New York. Diane West: We do. It’s a very clandestine activity. Bob Barker: It’s happening next door to people who don’t know it. Diane West: It’s true and it’s a very nutty problem. One of the law enforcement people I was talking to said, “the reason we’re paying more attention to it is because it doesn’t stop there”. There are drugs involved. There’s violence involved. There are people that are afraid to live in their neighborhoods. Who wants to live next to somebody who does that? It’s crazy. Now do you see what I mean about how he “sort-of” retired? My god, I hope when I’m half his age, actually I probably am half his age, I have half as much of his energy. He is really something. We’ll be right back and talk to him more, particularly about his efforts now that he has more time to devote more time to with spaying and neutering. And other animal welfare subjects in general. [commercial break] Diane West: You know, Bob is one of the type of people that you can probably sit and half a few drinks and talk to all day, but alas we do not have all day. What is up next for Bob? All right, now obviously we are going to talk about spay and neuter. You have the Dorothy Jo and Matilda Foundation for Spay and Neuter. Tell us a little about that. Bob Barker: Well, I established the DJ&T Foundation, it’s named after my wife Dorothy Jo and my mother whose name was Matilda but everyone called her Tilly. We subsidize spay/neuters all over the states. We give two types of grants. One is for spay/neuters and the other is for equipment, or maybe to pave a parking lot, build awnings for clinics. We have SNAP (spay neuter assistance program) grant and a clinic grant. We give both types. We are now working with organizations, we do all of our work through local organizations, in every state in the Union and in many states multiple organizations. An organization can get a grant, use a grant, and get another grant to keep their spay/neuter program going. That is the only answer to the terrible, tragic problem of animal overpopulation. The only solution is spay/neuter. There are just too many cats and dogs being born for all of them to have homes. There are people all over the United States devoting their time, energy and money trying to find homes for all of these cats and dogs. These people are doomed to disappointment because the homes don’t exist. That’s why the only answer is spay/neuter, and that’s why I’ve concentrated on that. Diane West: In your book you say, and this is one of the things that struck me, “if you trace the opposition to spay and neuter through all of the channels you will always find that it is based on greed.” I found that to be very tough words, and I’ll challenge you a little bit because I know there are some quote-unquote responsible breeders. Bob Barker: Oh yes, I know there are some responsible breeders. We have recently passed a spay and neuter ordinance here in Los Angeles. Spay and neuter is mandatory here now. I am proud to say that Los Angeles is not only the first major city to pass such an ordinance, but it has spread across the country. They have it now in Dallas, they have it now in San Antonio, they are considering it in Chicago and New York City. We hope to see it spread all over the United States. Even though we have a mandatory spay and neuter ordinance, a legitimate breeder has nothing to worry about. Nothing whatsoever to worry about. But these backyard breeders and these puppy mills, and many of them if not a majority of them are not licensed. And many of them, if not a majority of them do not pay their taxes. If we put them out of business the country is better off. The legitimate breeder is not harmed whatsoever. Legitimate breeders have licenses and pay their taxes. Many of these backyard breeders sell a dog and there’s something terminally wrong with it someone goes to return the dog and they say “no, no you bought the dog”. They’re scam artists. Diane West: What do you think about the Obama family saying they are going to look for a rescued Portuguese Water Dog? Bob Barker: I would much rather seem them go to a shelter or rescue group than do what Joe Biden did and go to a breeder and buy a purebred. Diane West: I think they did say they were going to get a rescue. Bob Barker: They did say that. Of course, if they’re looking for a purebred they may have to wait a while, but they will find one sooner or later. I think the only place to get a dog is the shelter. Diane West: Somehow I think that if the President of the United States needs a rescued purebred Portuguese Water Dog one will appear somehow! Bob Barker: He’s made it known that he wants one, I’ll guarantee you they’ll find one for him. Diane West: I guess to wrap up Bob, one of the things your book really does, and I urge everyone again to pick it up and that called Priceless Memories, by Bob Barker. Bob Barker: It will be in the stores April 6th. Diane West: Do you have a message for people like you, who want to try to raise awareness about spay and neuter and animal cruelty, how do you get that message across? Bob Barker: One thing that I have not mentioned, all of the profits from this book will go to the DJ&T Foundation. Even the advance that I was paid, and the audio version that I did, everything goes to the DJ&T foundation. [27:14] Diane West: Fantastic. So if you buy your book, you’ll be doing a good deed as well. So a good deed and a good read! Bob, how do you get the message across without sounding shrill or like a crazy person? About spay and neuter? About animal cruelty? Some of the criticisms I hear, not to single one particular group out, but that’s one of the criticisms I hear. You seem to give it across in a non-threatening manner. What’s your advice? Bob Barker: I think that my advice, for example in spay and neuter, just get a few facts. You don’t have to go to school and take a course on spay and neuter. Just read enough to know a little about spay and neuter. Learn that there’s just too many cats and dogs being born and that there’s no chance of finding homes for them. And then it’s only logical to present that spay and neuter is the answer. That is the only answer. 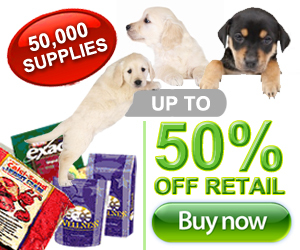 There are some people who would like to have their dogs spayed or neutered, but can’t afford it. For those people, let them know about the low-cost or free spay and neuter clinics. These vouchers that we present to the local organizations to issue to needy people are low-cost or free. If you can pay five dollars, fine. Pay the five dollars. If you can pay ten dollars, fine. Fifty? Good. If you can’t pay anything, we still give the voucher. Give them the voucher and get the animal spayed or neutered. Find a list of those organizations in your community and when someone says, “well, I can’t afford it” well say, “here, here is the place to go.” Do it in a helpful way and most people will cooperate. There are some who won’t, they’re rare. Diane West: So you’ll say the price is right! Bob Barker: The price is right. Diane West: Now, real quick, how would a group avail themselves? Do you guys have a website for DJ&T? How do we get in touch? Bob Barker: Just go to the website for DJ&T and it will explain exactly how you can get an application. Fill out the application as directed. Send it in and you’ll probably receive a telephone call from a representative of the foundation and she will interview you. I might add, her name is Nancy Burnett. She is not only interviewing you, she is looking for ways she can advise you and help you. She’s an expert with all of the problems associated with spay/neuter clinics. We have a stack of mail from organizations that say she has shown them the light. So it’s educational as well as an inquiry. She’ll present her notes to the board of directors and they’ll decide to help you or pass. Diane West: Can an individual do this? Or do you have to be with an agency? Bob Barker: No, you have to be a 501(c)3 organization. Diane West: Great. So Bob, when are you going to come visit us? Bob Barker: In New York? Bob Barker: I’m coming back there for something that has nothing to do with animals in a way. Although, I’m trying to sell Priceless Memories, which has something to do with animals. I’m coming back to New York April 9th. I’ll be on the Today Show, on the first segment and on the last segment. And I’ll be on the weekend Today Show telling people about Priceless Memories. Diane West: Well, we’ll be watching! Bob Barker: And the Rachel Ray show. I know absolutely nothing about cooking, so I’m going to suggest that I just taste! Diane West: Sounds good to me Bob. Thank you so much for joining us today on Pets in the City on Pet Life Radio. Bob Barker: I really enjoyed it. Bob Barker: I really hope you enjoyed the book. Diane West: I did. And I’m going to tell everyone to read it. It is a love story on so many levels. And it gets out the message to be kind to animals in so many ways. Thanks. Bob Barker: You summed it up for me. I wanted a happy book. You described it as a love story, and that makes me even happier. I certainly want try to persuade people that these animals need our help. Diane West: Thank you so much Bob. I really appreciate it. Bob Barker: Thank you Diane. [end interview] Diane West: And that will do it for this episode of Pets in the City. I am your humble host, Diane West and proud New Yorker. Coming from New York, broadcasting live. At least, podcasting live to you. I want to thank our producer Mark Winter for putting up with me and making me sound great. I also wanted to thank our sponsors for keeping us on the air. And wanted to thank you, in advance, for patronizing our sponsors because that keeps us on the air as well. I will talk to you next week. I have some really cool things coming up in the New York City area in March and please write to me. I’m getting lonely. Diane@petliferadio.com. Write to me about anything. Seems like I’m very shy, right? [laughter] No, I’m not, so write to me and let’s talk. And with that I will talk to you soon!